Why are homeowners remodeling their master bathrooms? According to a research study conducted by houzz they are tired of the design of their old ones!! 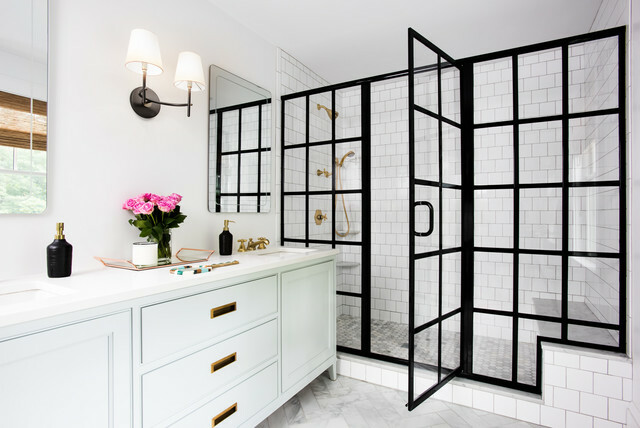 The median national amount spent on a master bathroom remodel is $7,000, however the costs can flucuate significantly based on the size of the room and the finishes selected. The #1 design priority in the remodel is making the space stylish with the second being increasing the resale value of the home. #1 function priority is good lighting and the 2nd being creating a space that is easy to clean and disinfect. 46% of homewoners renovating their master bathroom are also making changes to their master bedroom space, with the national median being spent at $2,000. An interesting statistic reported is that 11% of the master bathrooms are the same size as the master bedroom. For more detailed information click here to go to the article. Are you thinking about remodeling your bathroom? Give Frank's Glass a call at 513.829.8284 to schedule a free estimate for your shower enclosure and vanity mirrors.